Squirrels don’t win popularity contests with gardeners and bird feeders. Tree squirrels, agile and clever, have been known to outsmart even the toughest mazes designed to thwart them. In fact, if you never saw the 1990s British documentary Daylight Robbery, check out the video clip at the end of this post. From there you can link to other segments of the show. The gist of it is . . . grey squirrels in the UK prove adept at navigating complex obstacle courses. Even squirrel agnostics might gain some appreciation for the brilliance of these little animals. Our building has what we call a “squirrel highway.” There’s a ledge encircling the flat, accessible by a squirrel leap from the trees. So, we often get up-close views of wild squirrel behavior, my favorite being the late-spring release of babies from the nest. Watching juveniles navigate their urban environment for the first time — trees, telephone poles, utility cables — is simply awesome. I shot this photo yesterday in Berkeley. This female Fox Squirrel was gnawing away on cherry blossoms, snatching the ovaries while the blossoms flitted around her like whirlybirds. It’s the first nesting cycle for squirrels in our area, so she may have been bulking up to feed her young. The second batch of baby squirrels comes late in summer, near the end of our general baby season at the hospital. There are a lot of inhumane things that happen to squirrels, so I have to put in a plug here for humane squirrel “eviction.” If squirrels are becoming a nuisance in your home or garden, I urge you to explore humane options before defaulting to some of the cruel and lethal methods employed against these animals. 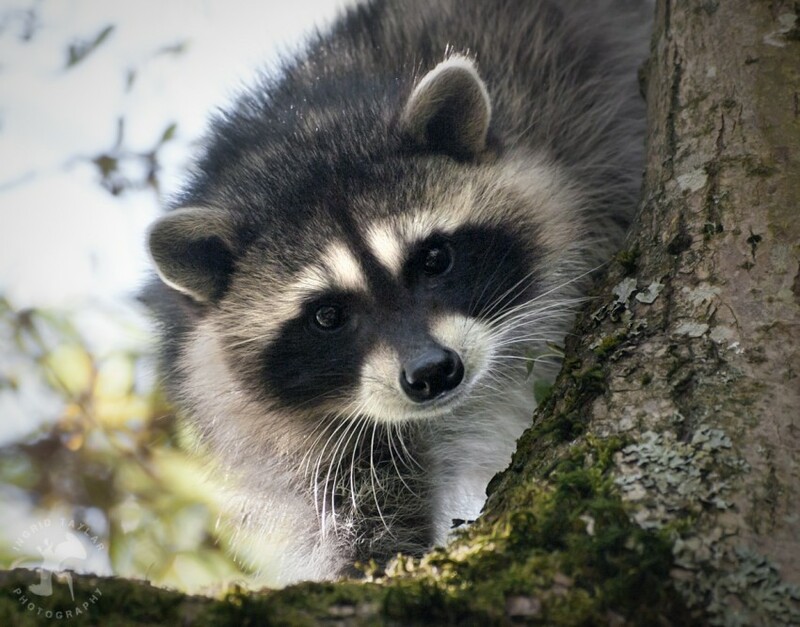 Urban Wildlife Rescue in Colorado has a good page on Humane Eviction. Humane solutions almost always involve understanding an animal’s natural behavior and housing routines, and then taking the time to structurally alter the environment to make it less hospitable. The Photo: I took this pic with my Panasonic TZ5 — a pocket point-and-shoot with a great 10x optical zoom. (The latest upgrade to the TZ5, the ZS3 has a 12x.) The convenience of this camera makes it one of my favorite items to take along anywhere. In fact, Hugh shot some of the coolest inauguration photos with the TZ5 when he worked the Obama concert in DC.